The person who brought everyone together is AAO member Samantha Weaver. In her daily role as Director of Outreach at Carnegie Mellon University’s School of Architecture, she was already in touch with the other design ed groups while planning her school’s summer programs, but she recognized the value of formalizing the network in order to share spaces, talent, and resources. Now instead of competing for the same audiences, they work together to point out connections across their programs. Meanwhile, students and educators get one convenient portal that opens doors to all six local providers. 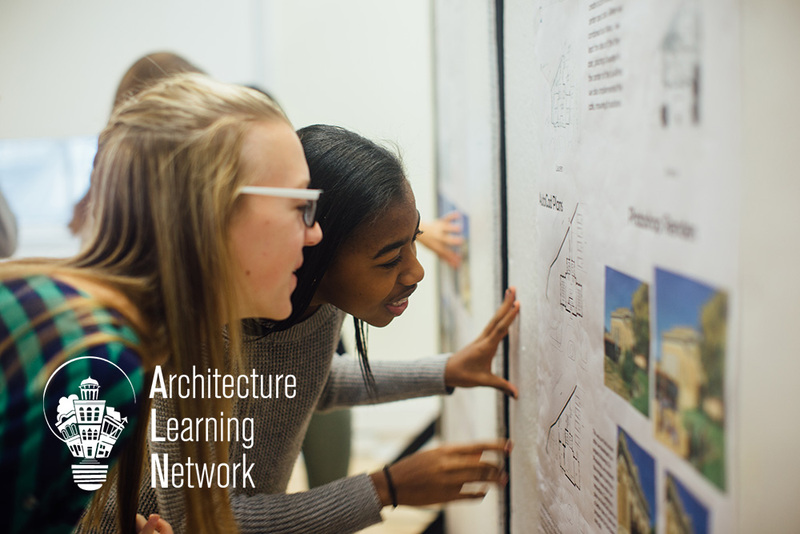 ALN partner organizations include ACE Mentorship Program, Assemble, Carnegie Mellon University’s School of Architecture, Carnegie Museum of Art, Fallingwater, and Pittsburgh History & Landmarks Foundation. Visit the ALN website. Samantha Weaver is the Director of Outreach at Carnegie Mellon University’s School of Architecture and Program Coordinator for Pittsburgh’s Architecture Learning Network (ALN). Samantha graduated from CMU’s School of Architecture in 2011, with a Bachelor of Architecture and is currently a part-time student in CMU’s Master of Education Technology and Applied Learning Science (METALS) program. Her designs and research focus on project-based-learning, participatory design, and equity.